Now as far as the series idea goes, I love it. There are still SO many attractions I have yet to experience at Walt Disney World. With that in mind I thought, why not film my reaction to each one for you all? However, I didn’t really think the reaction part through before turning the camera on. You’ll see what I mean in a bit. A warning before watching: I did make adjustments to the volume while editing, but it’s still a bit loud. So…you know, mind your ears. Have you been on this attraction? Are you turned off from my videos forever after watching? Let me know in the comments! 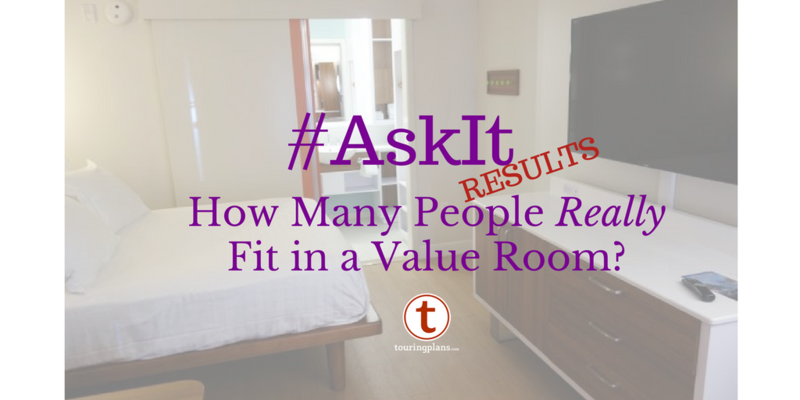 Ask It Results: How Many People Really Fit in a Value Room? September 6, 2017 Julia Mascardo Comments Off on Ask It Results: How Many People Really Fit in a Value Room? I’ve never ridden on the Speedway either. Always looked like a fun enough ride, especially when my kids were smaller, but the line was always so long and there were just other things I’d rather do. With an actual go kart track near my house I think this ride may also be a bit too tame in comparison. This series is so entertaining and authentic. Keep it up! I am so tired of all the food reviews on other blogs. You can’t taste the food in a blog post, but you can SEE the attractions here. Good job making less popular (more boring) attractions a little more interesting. I’m so glad you enjoyed it! I was a bit nervous putting my genuine reactions out there, but comments like yours make me really happy I did. Yes, keep it up, Angela—-you’re as adorable as ever! 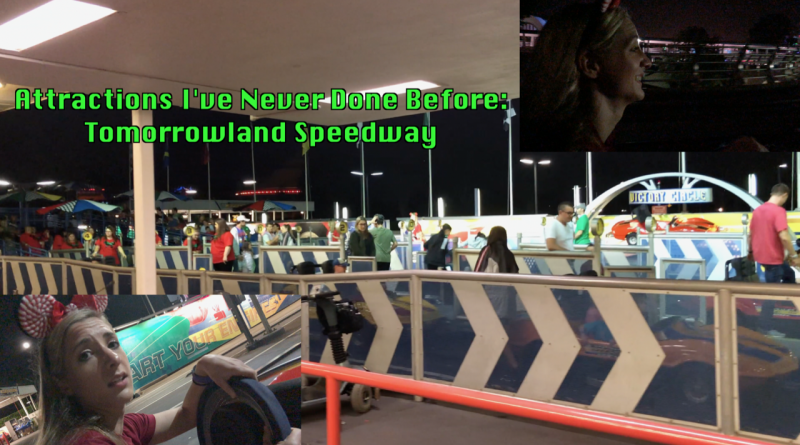 As far as how stressful you found the ride….uh, you did know that you were on a safety rail the whole time, right? The first time I drove, I kept hitting the middle rail and panicking, so it didn’t occur to me to let up on the gas. I’m pretty sure we *almost* went airborne from hitting it so hard. I’m calmer driving during rush hour on I-4 than one lap around the Speedway!! I’m with you! I figured that out waaaaaay too late in the game. We could have had a much smoother ride had I not wanted to go so stinkin’ fast! This made me so happy. Nice job, Angela! Can’t wait for more “reaction” videos! I get how small kids would like to do this, as with the “Tin Lizzie” cars at smaller amusement parks. However, when at WDW I’m not going to wait in a long line just to do something I can do at my local Putt-Putt golf / go-karts. Plus, they often stink of gas. Hopefully once Tron is installed they’ll swap to electric carts. I think that’s what put me off from doing it for so long. Since I was at the Christmas party and the lines were so short I thought, “Why not?” Happy I tried it once.